Republished from: SAID-MOORHOUSE, Lauren. Why Italy’s unpredictable election is testing nerves in Europe. CNN, 28.02.2018. (CNN) Italian elections are always complicated affairs, but Sunday’s vote could take complicated to a new level. Anti-establishment parties are thriving as Italians have become frustrated over unprecedented migration and continuing economic woes. Combine this with a new, untested electoral system and a high number of undecided voters, and observers say the outcome is highly unpredictable. What’s happening and why should you care? Italians head to the polls on Sunday in a vote that will be closely watched by European leaders fearful of any instability in the eurozone’s third-largest economy. The populist, anti-European Union Five Star Movement (M5S) is likely to emerge as the single largest party, according to recent polls, but a coalition of center-right parties cobbled together by former prime minister Silvio Berlusconi could emerge with more seats in parliament. Further complicating things, around 40% of voters remain undecided. No party or alliance is expected by analysts to earn an outright majority, meaning Italy could be plunged into months of further political deadlock at a time of financial uncertainty for the country. While there have been some indications of an economic recovery recently, unemployment remains stubbornly high, according to the EU’s statistical agency. And the International Monetary Fund puts Italy’s government debt at 120% of gross domestic product, compared to 45% in Germany and 82% in the US. “Some of the main parties adopted an ambivalent stance towards the European Union during this legislature. Some of them were openly euroskeptic … That’s why many European partners fear the prospect of an Italian parliament dominated by these forces,” says Fabio Bordignon, a political scientist at the University of Urbino Carlo Bo. Until December, Italy had been under the leadership of a caretaker government run by Prime Minister Paolo Gentiloni. Back in 2014, his center-left predecessor Matteo Renzi was thrust onto the world stage amid great fanfare as the country’s youngest-ever leader. Hailed as an energetic reformer, he quickly ushered in a host of legislative amendments aimed at boosting growth and prosperity. But it was too much too soon, and Renzi ended up gambling on a constitutional referendum that culminated in a resounding defeat and his resignation in late 2016. As the leader of the center-left Democratic Party, Renzi is competing in the election. More than 20 parties are in the ring, but Italian voters are largely split into three political camps, according to recent polls. The center-left coalition, dominated by Renzi’s Democratic Party and including several smaller parties, polled at 27.4% in the final pre-election poll of voter’s intentions. 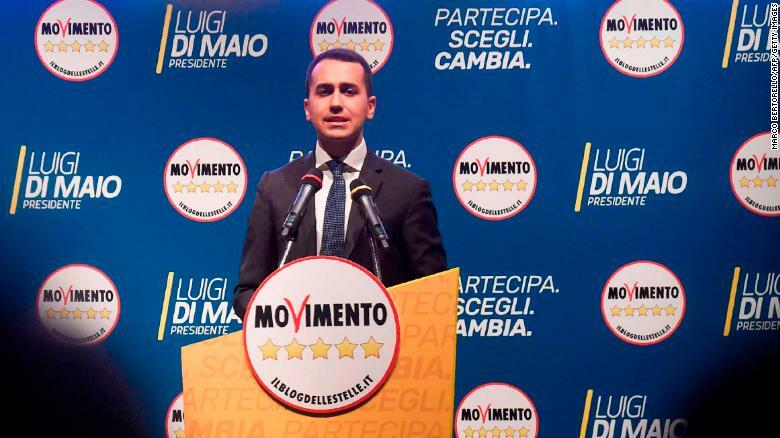 The Five Star Movement — led by 31-year-old Luigi Di Maio — polled at 28%. The party has ruled out entering coalitions with other parties in the past. A right-wing bloc, constructed by four-time prime minister Berlusconi, leads the same poll at 36.8% and could end up as the largest grouping in parliament. 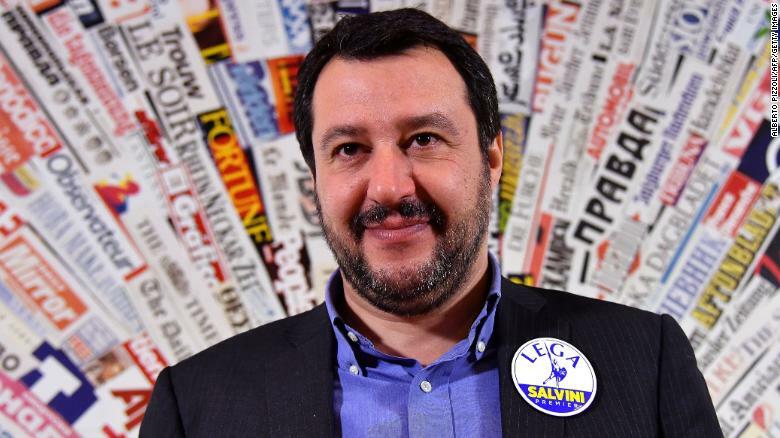 The deal-making media mogul has brokered an alliance that includes his center-right Forza Italia party, Matteo Salvini’s far-right Northern League, and the neo-fascist Brothers of Italy. 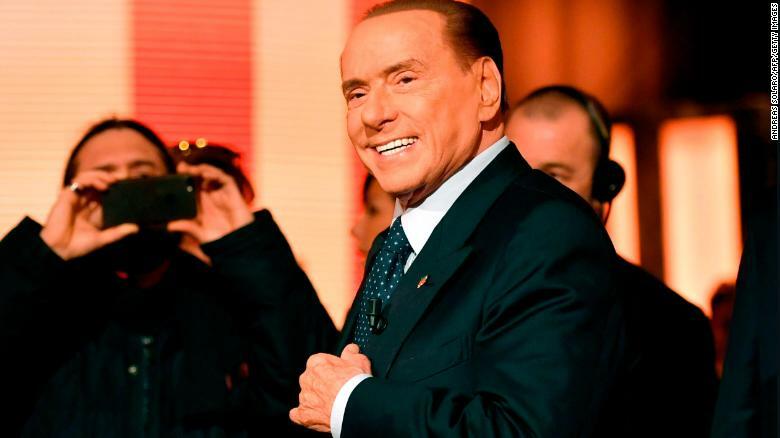 Berlusconi is currently banned from holding office as a result of a tax fraud conviction, but he could play a key role in helping to choose the country’s next leader. Jobs, the economy and security remain concerns for voters, but one issue has dominated the pre-election debate: immigration. More than 600,000 people have arrived by sea from North Africa since 2013 when Italy last went to the polls, including 114,000 in 2017, according to the UN’s International Organization for Migration. And the debate over immigration has highlighted racial tensions ahead of Sunday’s vote. Berlusconi has warned that the number of migrants in Italy has caused “serious social alarm,” and vowed to deport more than 600,000 undocumented migrants. The narrative around immigration took a darker turn after a man linked with neo-fascist political parties apparently went on a shooting rampage targeting African migrants in the town of Macerata. The incident fueled serious political debate about how the country is reconciling its fascist past. 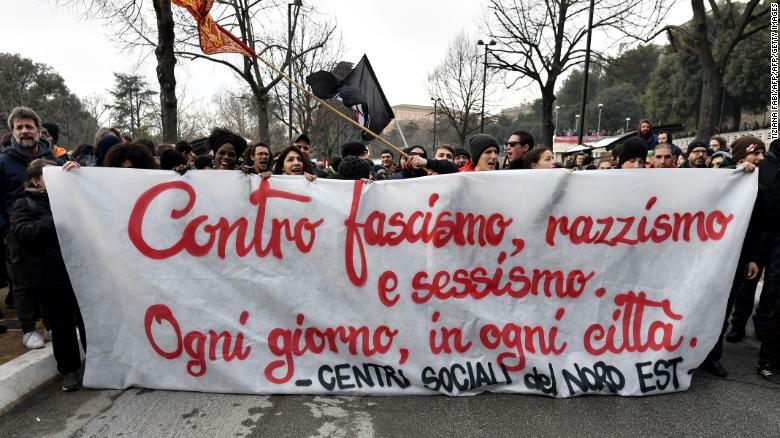 On Saturday, anti-fascist groups and far-right supporters took part in rival demonstrations in cities across Italy, Reuters reported. 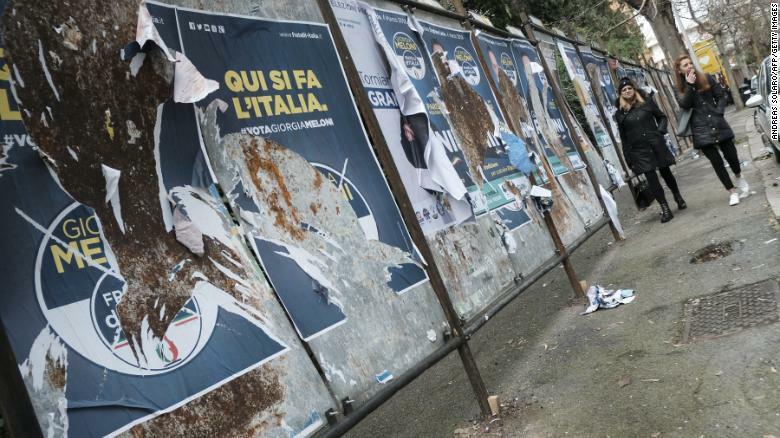 Daniele Albertazzi, a senior lecturer in European politics at the University of Birmingham in England, says migration has been a contentious issue in Italian elections going back to the 1990s. 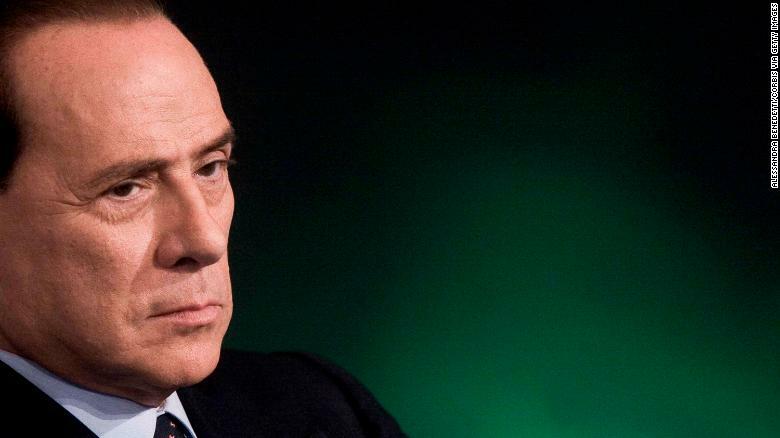 “First it was people from northern Africa coming to Italy to work, then it was the collapse of the Albanian state, then after 9/11 we didn’t see the word ‘African’ anymore in Italian newspapers, it became all about ‘Muslims,'” Albertazzi told CNN. “In the last three years, you have people crossing the Mediterranean on boats … and of course, the terrorist attacks by Islamic State inside Europe. “All of that has been used by political leaders very effectively because the discourse never focuses on the millions of people, for instance, who work in northern Italy and keep the northern Italian factories afloat,” Albertazzi added. Italy has introduced a new hybrid electoral system for this year’s vote which combines a first-past-the-post (FPTP) method with proportional representation (PR). First-past-the-post means the candidate who gets the most votes in a constituency wins a seat in parliament; proportional representation means that additional seats will allotted to parties based on the proportion of votes they win nationwide. Of the 630 seats in lower house of parliament — the Chamber of Deputies — 232 will be elected through FPTP, and 386 through PR. The remaining 12 seats are determined by overseas constituencies. A similar split will be used for Italy’s upper house — the Senate — with 102 members elected by FPTP and 207 through PR. The new system, unlike the previous one, does not award bonus seats to the party or coalition that finishes in first place, making it more difficult to achieve a governing majority, according to Reuters. “Compared to the law used in 2013, (the new system) favors partisan fragmentation and makes a parliamentary majority more difficult to achieve,” explains Paolo Chiocchetti, fellow of the Robert Schuman Institute of European Affairs at the University of Luxembourg. Chiocchetti says there are a few potential outcomes on the table, including a “grand coalition” between the Democratic Party, Forza Italia and other centrist allies; an outright victory of Berlusconi’s right-wing coalition; or a third option of a populist government of M5S and Northern League. “All these options, however, are unlikely to get enough seats to form a viable governmental coalition,” Chiocchetti concludes.